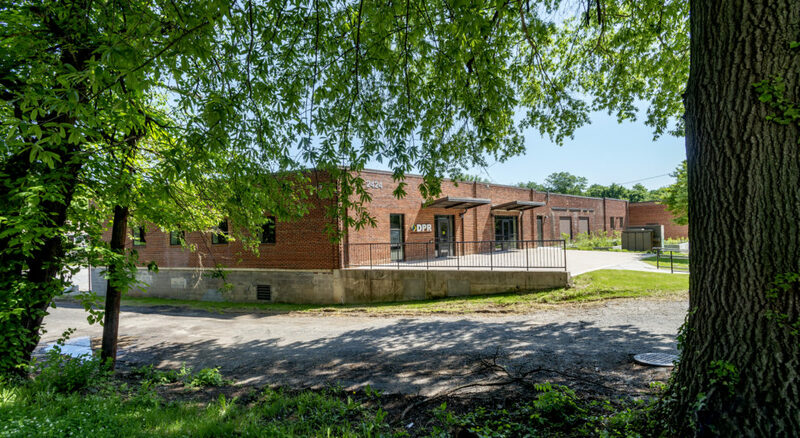 The Menkiti Group has redeveloped a once neglected 48,000 SF industrial building at 2424 Evarts St NE in the Woodridge neighborhood of DC. 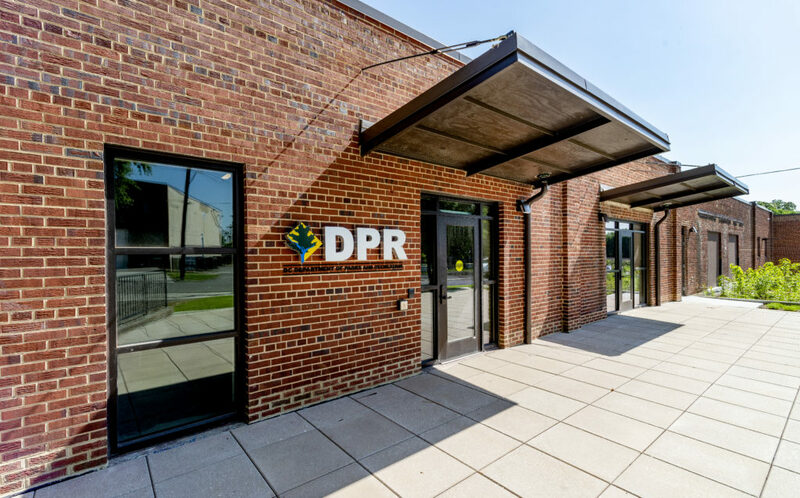 The building is now a LEED-designed office/warehouse and new headquarters for the District of Columbia Department of Parks and Recreation (DPR). Approximately 25% of the facility is dedicated to office and logistics space to house 10-12 full-time administrative and operations staff, as well as another 12-24 temporary staff and summer interns. The site will also serve as a home base for DPR Park Rangers who operate at parks throughout the District. As per a typical DPR facility, the warehouse will stock everything from baseball bats, basketballs, aquatic supplies, outdoor games, and more – all anyone of any age might enjoy for an outdoor or sporting activity. The north parking area on the property will be used for the vehicle fleet of sedans, pick-up trucks, larger vans, shuttle buses, and several trailer-based mobile stages used for special events throughout the District.